The celebrated restaurant with outdoor seating and fireside dining room pairs truly craft cocktails and artisanal beers with an inspiring menu created by lauded chef Henning Nordanger. Menu features fresh local delights from nearby farms and The Beaverkill Trout Hatchery. The western’s cocktail mixers, cordials syrups are handmade from fresh squeezed fruit and botanicals. All meals are made to order. Check out the mountainside sunsets from the slate Terrace in the summer! Reopened in 2016, the captivating 1852 mansion presides over the delightful hamlet of of Callicoon– Guests enjoy 7 elegantly appointed rooms all with private baths. 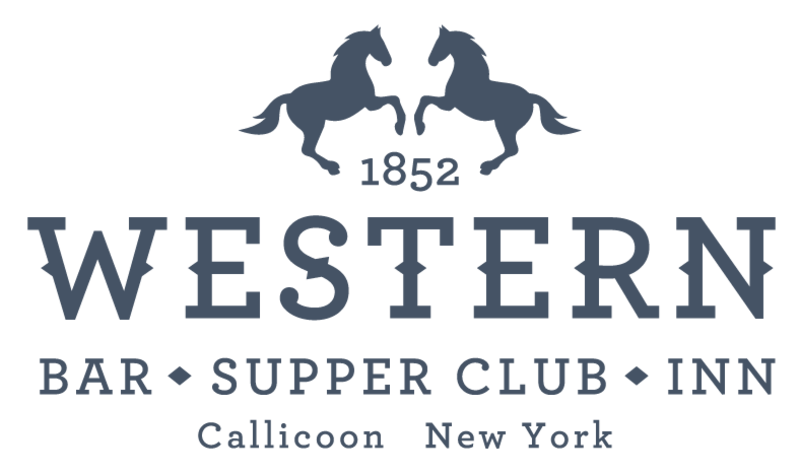 Just 2 hours from NYC the Western is an idyllic weekend getaway. It’s celebrated farm-to-fork restaurant with outdoor seating and fireside dinning room pairs craft cocktails and artisanal beers with an inspiring menu created by lauded chef Henning Nordanger. The historic Western Ballroom accommodates weddings, performances and conferences for up to 200 guests.